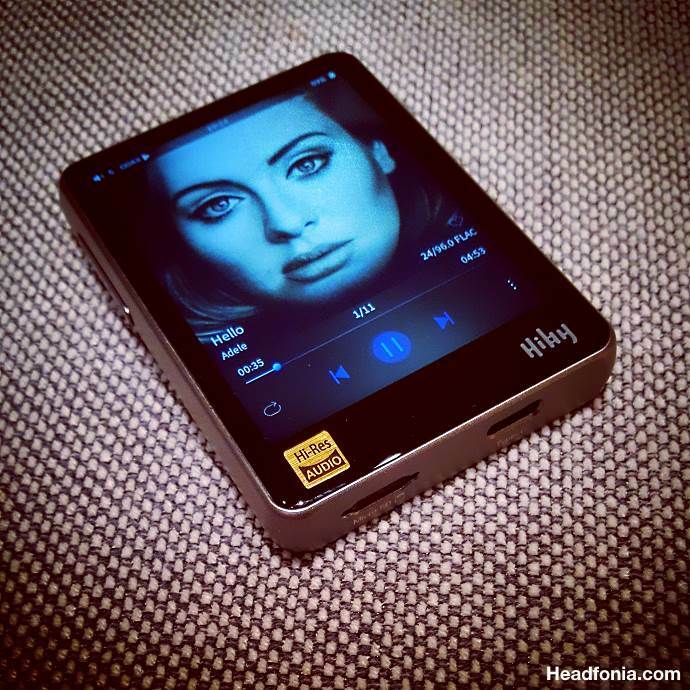 Disclaimer: The Hiby Music R3 was sent to us and Headfonics.com free of charge in exchange for this review. 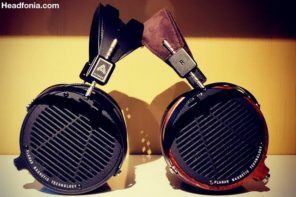 Hiby is not related to Headfonia in any other way. We were selected to do the pre-market tests for this DAP using engineering samples on Beta firmware. It’s important to know that our unit and the beta firmware on it will most likely be different from the ones that you will receive after ordering. 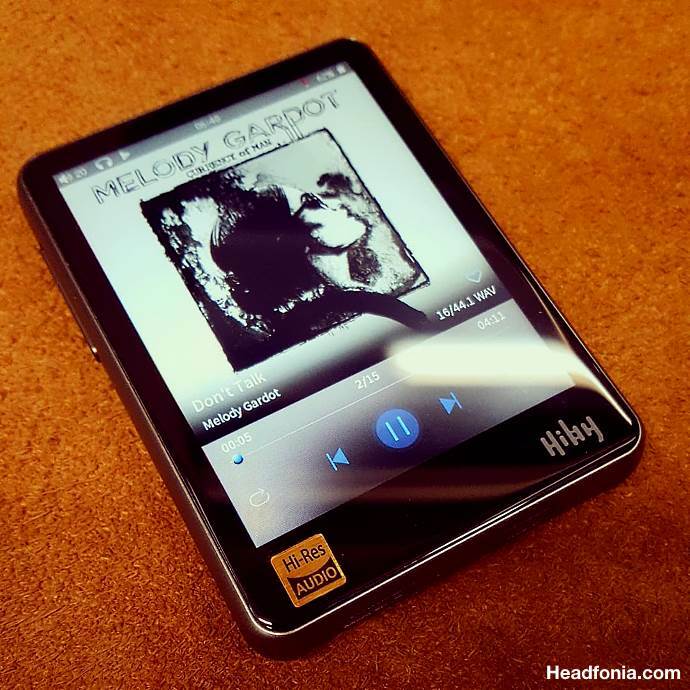 Hiby Music already was pretty famous when it came to building software to playback music on your phone and on dedicated portable audio players. 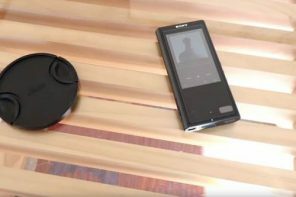 And then a few months back, they released their own R6 portable player and it hit the market big, with excellent comments all over the web. 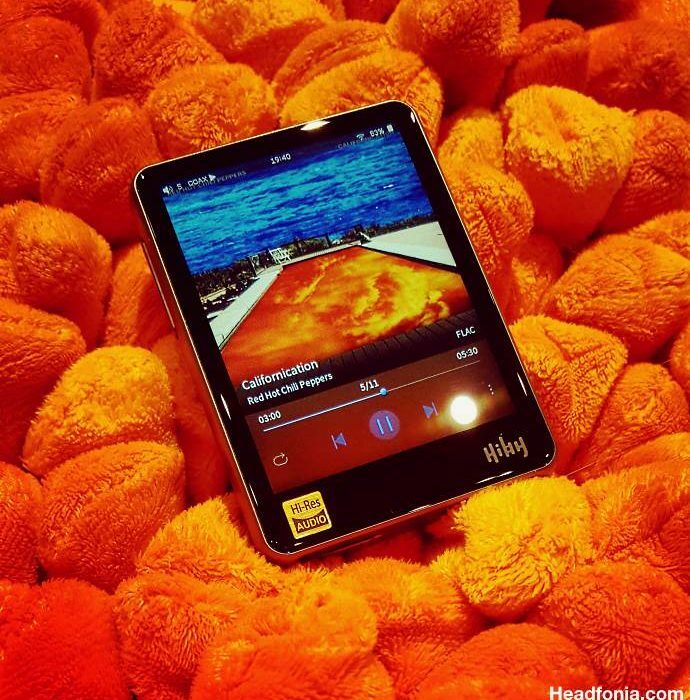 HiBy music specializes in research, development and sales of high quality portable audio products. They have professional R&D staff and they also have quite a good history in the portable audio field. They have partnerships with brands like Cayin, Shanling and Questyle. As far as I know they make the software of those devices or at least give software support to them. Also, their HiBy Music application for smartphones has more than 500K users around. I’ve never used it since I don’t listen to music from my phone, but it’s not hard to see they have a good reputation and know-how about audio processing and software integration. All I can do in the end, is simply congratulate the guys at HiBy Music for creating such a great Android player. 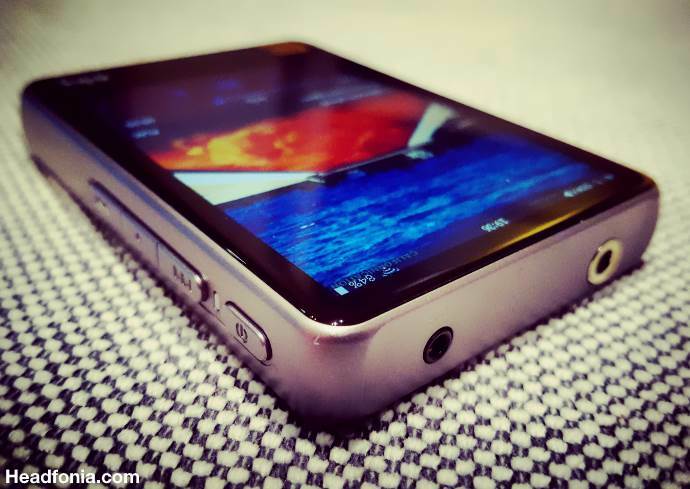 It has tremendous build quality, a fantastic and eye catching design with a great screen. 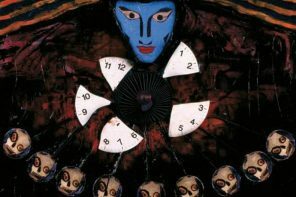 A very fast processor, a clean OS for efficiency and stable software are other crucial factors, especially with the DTA Architecture, which is maybe the most important thing. The sound from the balanced output is wonderful to listen to. 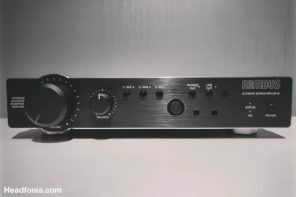 The single ended output, while still being very nice, is not an option for me after experiencing the balanced sound from the R6. I don’t think I’ll ever return to single ended mode. I think it’s one of the best Android players you can buy in terms of pure sound, and it’s maybe the best in terms of speed and UI. 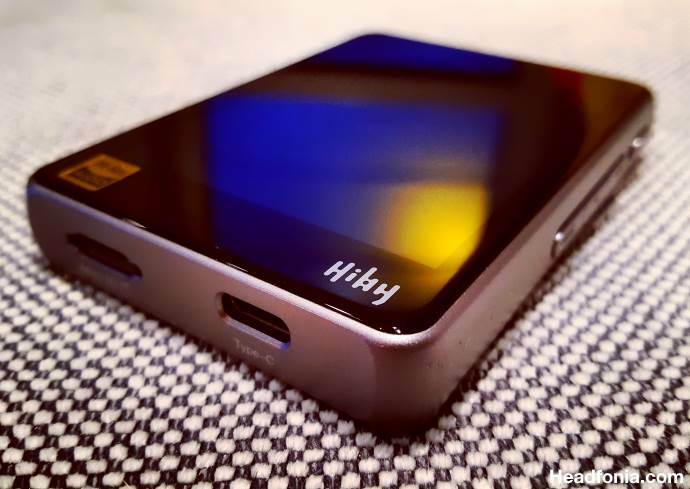 Now Hiby is back with the R3, the R6’s little brother, and because of the R6’s excellent performance we and everyone in to portable players, expect a lot from it. The Hiby R3 was only announced a few weeks ago, and it was launched on the Kickstarter platform (27 March!). Right now the R3 is available from the Hiby shop here: https://store.hiby.com/products/hiby-r3 for $183USD. The sample that we received is an engineering sample. That means our R3 (Headfonics and Headfonia) is not fully working just yet and it still shows some minor issues. These of course will be ironed out before the production version is sent out. Marcus and myself have been testing the R3 for a few weeks already and we have been giving the Hiby team feedback about the things to address. I also want to take the opportunity to thank Joe for the support he gave during this process. 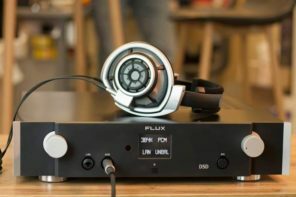 Right now you find the info on the R3 on the Hiby website and there’s this thread on Head-fi: https://www.head-fi.org/threads/the-hiby-r3-is-coming-soon-a-new-little-brother-to-the-r6.872288/ . You might be surprised about this but we actually don’t have all the R3’s specs yet. At this stage we do know that the DAC-chip used in the Hiby R3 is the ESS Sabre ES9028Q2M, this is the exact same chip that was used in a double configuration in their R6 DAP. You can find out all about this chip right here: http://www.esstech.com/index.php/en/products/sabre-digital-analog-converters/sabre-hifi-mobile-dacs/sabre-hifi-stereo-dacs/es9028q2m/ The DAC-chip does up to 64bit/384kHz PCM and DSD256 native decoding and you don’t need to install a driver in Windows to get it to work. The R3 uses dual crystal oscillators at 45.1584MHz, 49.152MHz. The small R3 measures 82x61x13mm and weighs only 95gr. It has a 3.2″ screen with a resolution of 480x360px. It of course is a full touchscreen but it does have physical transport and volume buttons as well. The R3 has the usual features such as Wifi, DLNA, Airplay and Bluetooth (APTX) and it is equipped with a USB-C port. This port is used for charging, DAC-connection and serves as the coaxial digital output as well. To use this feature you need an OTG USB-C to Micro USB cable or a USB-C to 3.5mm Coax cable. You can use a Micro-USB OTG cable as well, but then you need to be sure your Micro to USB-C adapter is OTG as well. In all honesty, I didn’t get it to work as my usual cables and adapters don’t seem to work on the R3. Marcus however did find a cable it works with just fine. The Line-Out function is available via the 3.5mm output, but it’s no real LO. 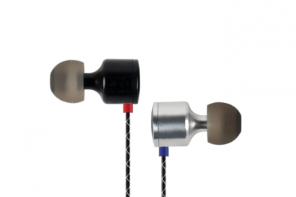 The R3 according to Hiby is ideal for head- and earphones between 8 & 150Ohm. The power output of the 3.5mm output is: 56+56mW @32Ω and the balanced 2.5mm output is rated at 112mW+112mW @32Ω. 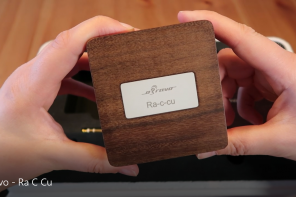 The R3 will have less than 1 Ohm output impedance. The official retail price was only confirmed last week and it is set at $229 USD (EDIT December 12: $183USD). The engineering sample of the R3 came in a basic box but I do think this is the final retail box. 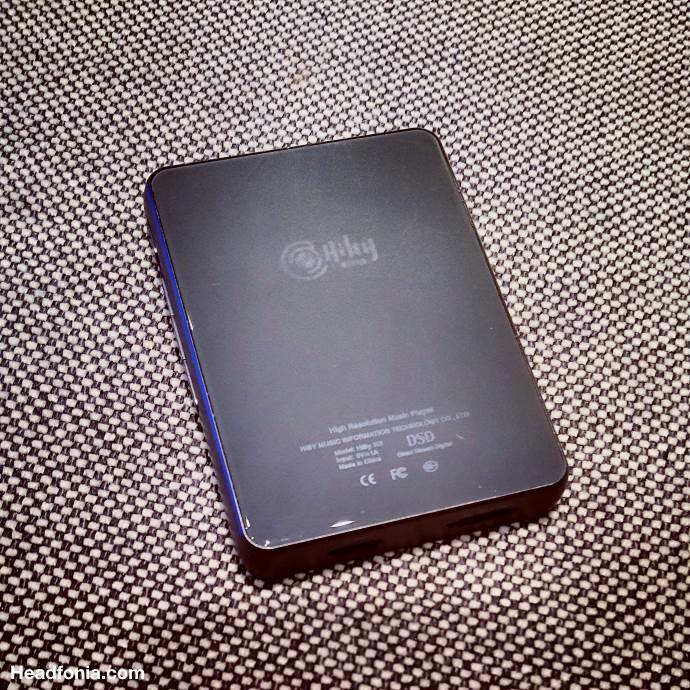 The Hiby R3 comes with a white USB/USB-C data/charging cable, a user guide, warranty card, QC certificate and 3 screen protectors (one pre-applied on the screen). The engineering sample didn’t have a screen protector, so if the R3 in the pics looks a bit beat up, it’s because of that. For the price is a nice and complete package, the only thing that’s missing is a pouch or (leather) case to protect the DAP. Big thanks Lieven for the review (reviews which I always very much enjou btw). 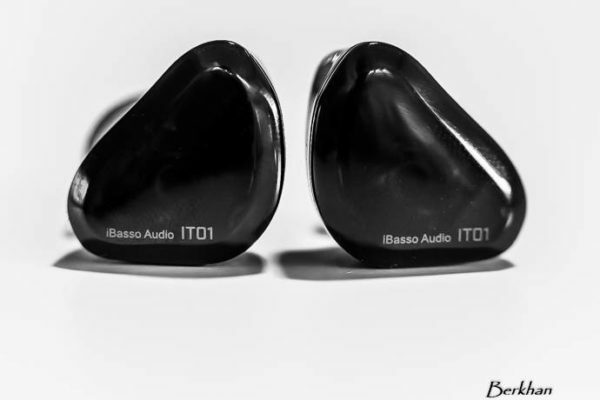 In terms of sound quality alone how would rate the R3 against the iBasso DX50? The DX50’s sq did get much better with fw iterations (especially the last one). The sqwise the R3 seems more of a sidegrade – however considering usability and sexyness its on another level. Might seriously consider it due to budget constraint but there are other interesting ultraportables on the horizon – like the Shanling M0 and Xuelin IHIFI790. 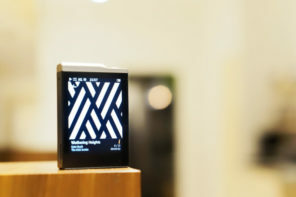 The glossy finish and smaller form factor reminds me of iRiver’s new ACTIVO CT10 player. I’ve been investigating this for awhile, and trying to side-step the misinformation to get to the (mostly hidden) details. Here’s what I found so far – all subject to change. NOTE: I don’t have anything to say on the design or philosophy of MQA, I’m just trying to find the details to know what the effects are. 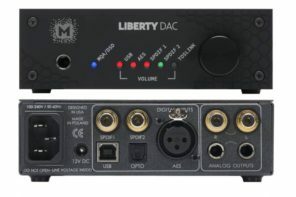 The MQA firmware in some DACs are not going to be switchable. Meaning if you have an MQA stream coming in to a DAP, it will probably be decoded and rendered transparently. The differences in sound from non-MQA streams (or albums) seems to be mostly the normal differences in different masterings. That could change of course. When using a component system where the DAC is independent from the music player, to get the correct MQA decoding the music player and DAC have to cooperate with each other. In some cases, the DAC would just be a “renderer” and it would require the music player to decode the MQA before sending it to the DAC. If the DAC is a full decoder and renderer, then the music player would have to be set to “pass through” to let the DAC do everything. 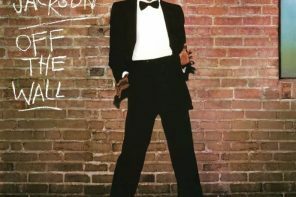 When a non-MQA album or stream is in the same playlist as MQA albums and streams, the music player should not attempt any MQA processing, because it would not “see” the MQA signature in the data. In that case the music player should send the data unaltered to the DAC, and what the DAC does then nobody seems to know for sure. The MQA guys say it just plays as normal. 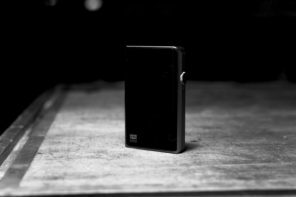 Firmware updates to most DACs would be optional of course. In cases where DSPs (equalizers etc.) 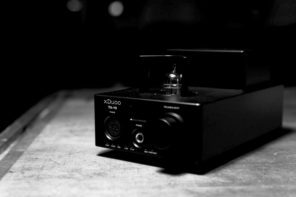 are being applied to digital data by music players before sending the data to the DAC, I don’t yet know whether they could conflict with any MQA processing being done by the same music player. Can you confirm that the coaxial SPDIF output is realized through 3.5 mm? In another review I read, Coax SPDIF was described as being received via usb. From your description of the R3 sound, it seems more in line with the X5iii? Is that the case? Great feedback. That was what I wanted to hear! How does a user access WIFI at hotel or fitness center where server requires log in screen in a browser? Tidal only at home? Have you tested with difficult to drive headphones? There really is no mention that this has an amp built-in? I believe the ones you compare too all can..
Hi Lieven, thanks for the review. 1) Are there gain settings to deal with the slightly lower output power? My V20 drives Pinnacle PX (same as P1) fine as well as HD600 but I’m wondering if the R3 will work out. 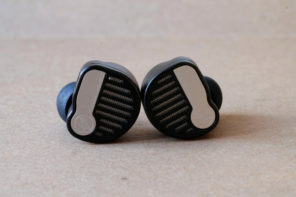 2) For sound, are there any other DAPs to consider at this price range? I’m looking for an all rounder that I can still come back to, even when I upgrade later on. My V20 drives anything easily, but the SABRE implementation while detailed and resolving is a little cold. Also, both separation and soundstage aren’t the greatest. For example, would going with a X3 III or Shanling M3S work out better? Interface and wireless aren’t important to me as I usually listen on the commute using shuffle, so 3.5 unbalanced is what matters for me. I listen to anything from classical orchestral works (timbre matters), jazz (bass matters), EDM and Rock (details and congestion), and vocals (separation matters), so I unfortunately need to find a jack of all trades. 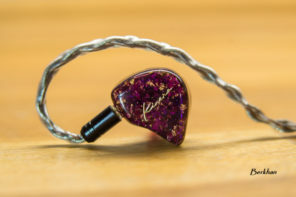 I’ve read your comparisons again and I think this is a good balance of characteristics – I may be moving towards more neutral IEMs in the future so the slight colouration may help me transition better from my V-shaped IEMs. Do you find the MSEB EQ effective or you prefer conventional EQ adjustments? Did you pick up any differences between the 2 digital filters? I just stumbled upon similarly-priced (for now) Onkyo DP-S1 and Cowon Plenue D. Do you have any advice on choosing between them? Hi..Nice review. I have very peculiar need. I want to stream Spotify or other Indian music streaming services on my smartphone through LDAC to hiby R3 for my wired earphones. Can hiby R3 do it? How would you compare the R3 to the Plenue D in terms of sound quality? Thanks for this great review. Would you say that gapless playback is implemented perfectly? 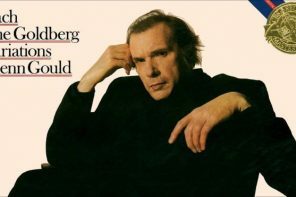 I use FLAC/ALAC and APE – and listen mainly to classical and concert recordings – so gapless which is not seamless would be a dealbreaker for me. Hi – any info about whether the gapless on this DAP is correctly implemented and actually seamless would be really greatly appreciated – can anyone let me know? 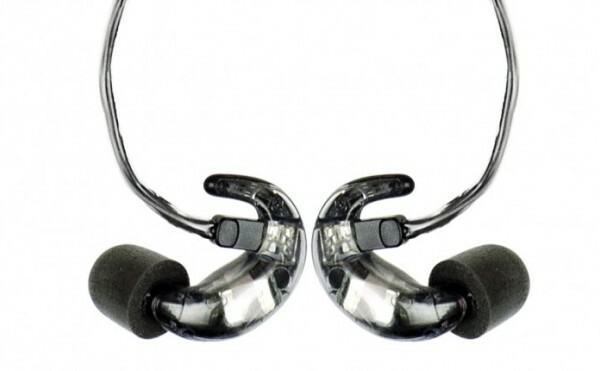 I have been comparing the R3 to the Shanling M0 for Bluetooth aptX sound on home hi-fi and aptX (Avantree) headphones. I like the R3 for its mass, its build, its operating system, the screen, and the sound. I like the M0 a little more overall. The M0 has better overall sound. Its screen is more responsive. I do find the R3 better than the M0 in its sound when listening to the Avantree Bluetooth headphones. It is a marked difference too. The M0 is a Standard Ruby Micronic for 2018. It is a real gem and I can hardly believe that in many applications, it sounds better than the R3. But the R3 shines as well, and the custom EQ is both fun to play with and helpfully responsive. I keep it in the plastic case it came with and found that helps to control the buttons better by keeping them recessed when being held. I like these two players so much, I have decided to expand my digital library. The R3 is a great, excellent player. Hi, is it compatible with the With Android auto or Mirrorlink ?